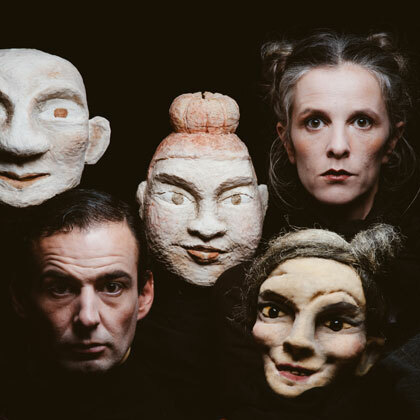 Welcome to an intimate circus, a space tinged with nostalgia, full of ‘charm, invention and fantasy’ (Télérama), where artistry, puppetry and object theatre combine in an endearing spectacle. Surrounded by old clothes, mannequins and bric-a-brac, a seamstress tinkers with assorted fabrics in her workshop, reassembling materials of all kinds while her antiquated sewing machine provides musical cues for her fellow performer’s routines. 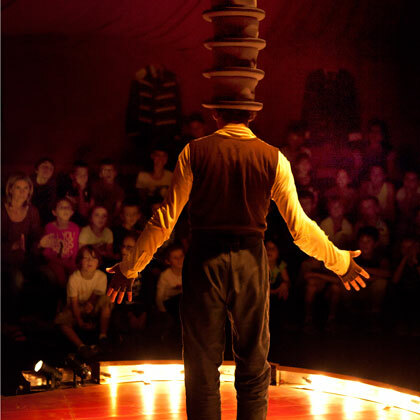 He, a little down-at-heel but clearly talented, launches into an eccentric dance, juggling precariously with hats, and props that disappear before your eyes. 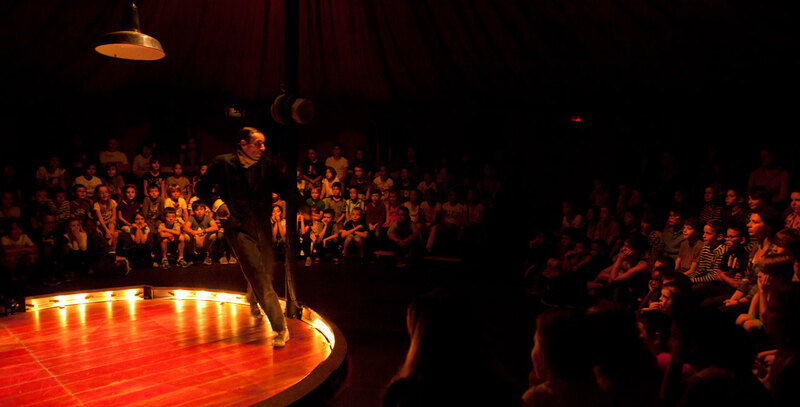 A supporting cast of mechanical characters, including tightrope walker, acrobats and one-man band, adds to the mystique of an itinerant fairground show. 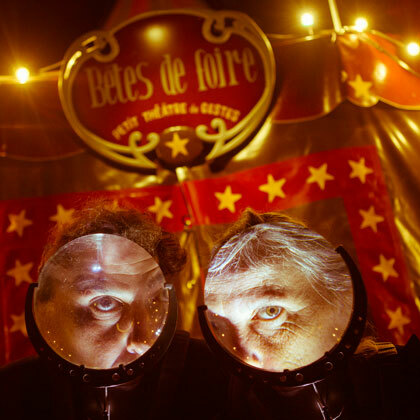 Elsa De Witte and Laurent Cabrol performed with French street theatre and travelling companies before founding their own miniature circus universe, Bêtes de foire. With echoes of Tadeusz Kantor, Alexander Calder and the sensibility of silent film, this is a feelgood performance of surprise, wonder, offbeat humour and exceptional skill. Roll up! Roll up! "Full of charm, invention and sweet fantasy"
"Theatre of objects, puppets and a touch of burlesque that create a universe reminiscent of silent cinema"